NGOs and government departments alone cannot eradicate drug in the country. Therefore, all sectors must cooperate to make Sri Lanka a drug free country, Batticaloa District Additional Secretary Sudarshini Srikanth said. 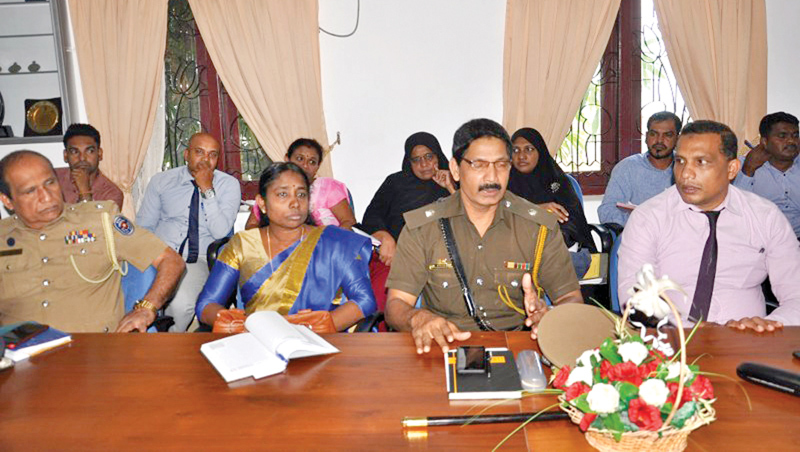 He was speaking at the drug prevention committee meeting in the district held at the auditorium of the Batticaloa District Secretariat on March 14. Drug Prevention Units must be set up at district, divisional and village levels and have review meeting every two month, he said. The district secretariat will monitor the progress of the units. Drug addiction will be eliminated completely in 2019, he said.